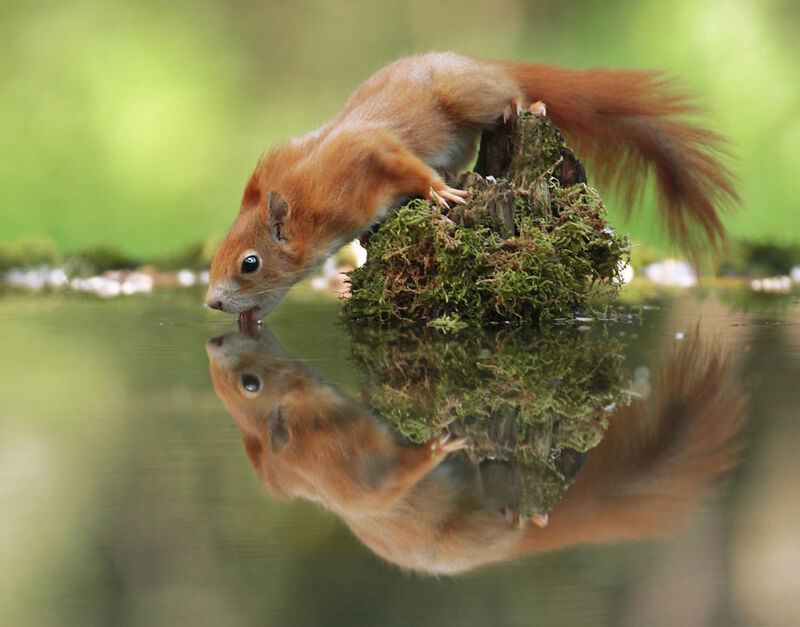 Julian Rad, a wildlife photographer from Austria, shows the most lovable wildlife shots of squirrels, hamsters, and foxes that you’ve probably ever seen. 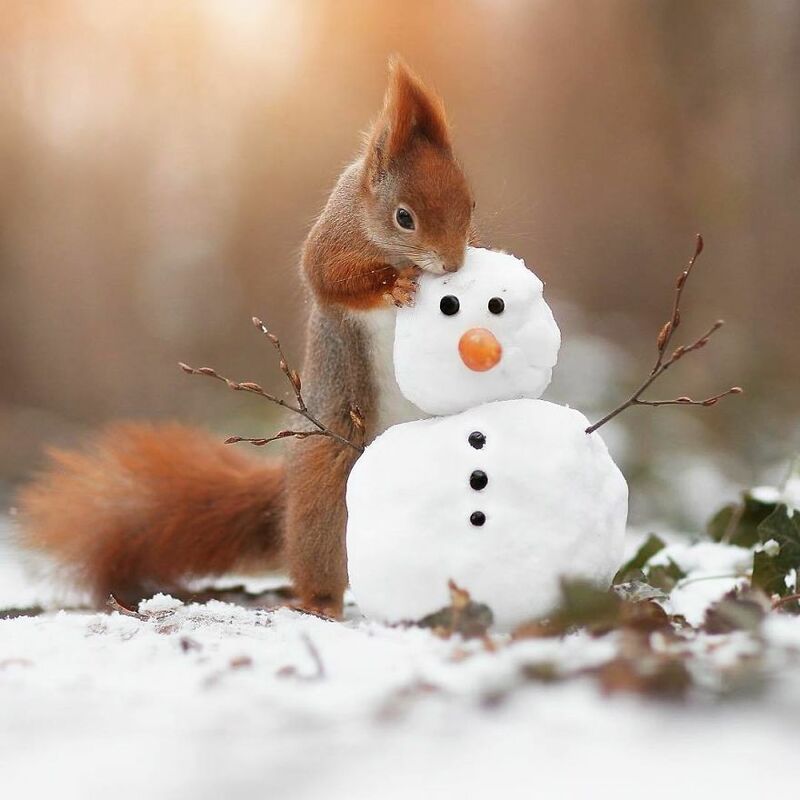 I recently came across his work on Instagram and I instantly fell in love with his adorable, funny images. 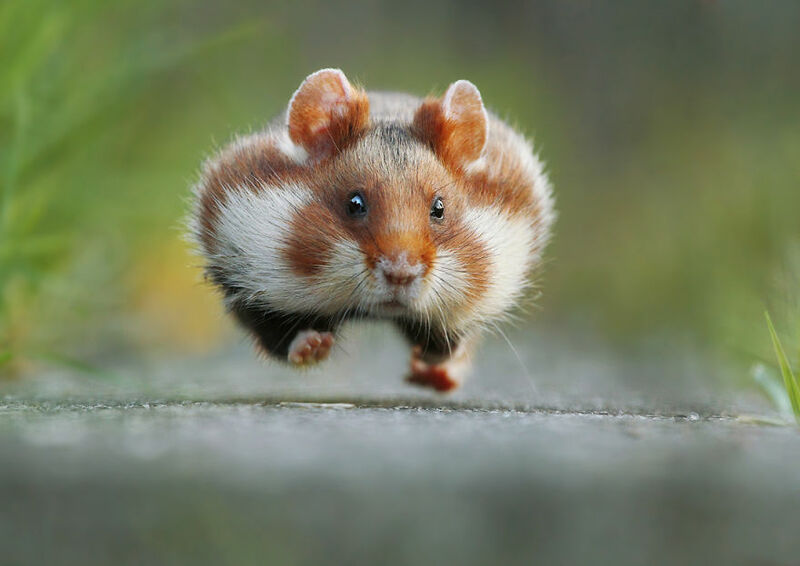 Back in 2015, he won the renowned Comedy Wildlife Photography Award with his image of a running hamster, titled “Rush hour”. We watch nature shows about the big five, while ignoring the daily lives and struggles of the little animals we share our environment with. 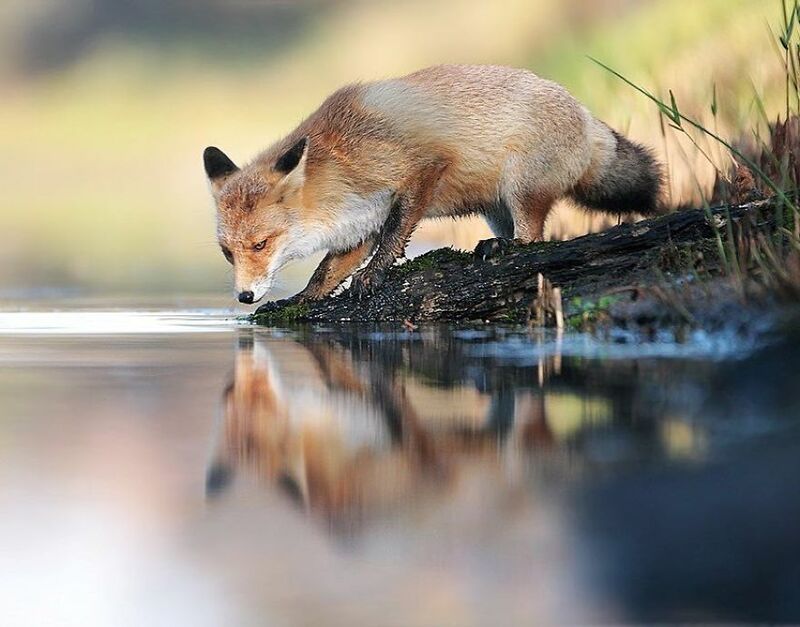 Especially with animals as quick and skittish as a rodent, capturing just the right moment with a wild subject is no easy task – but Julian has done it so masterfully. 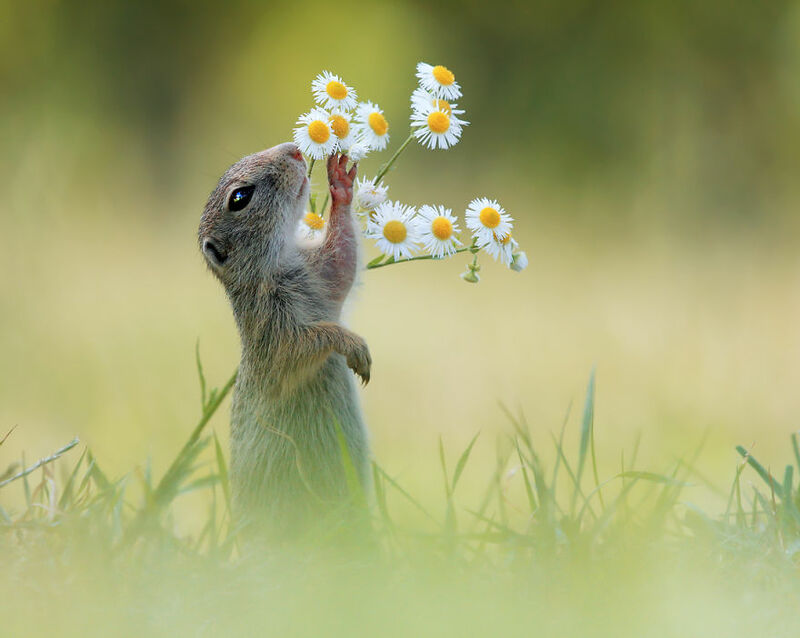 A ground squirrel that enjoys sniffing a flower, a hamster climbing up a blackberry branch or a red squirrel trying to reach for a walnut – each of his images tells a story and evokes emotions. 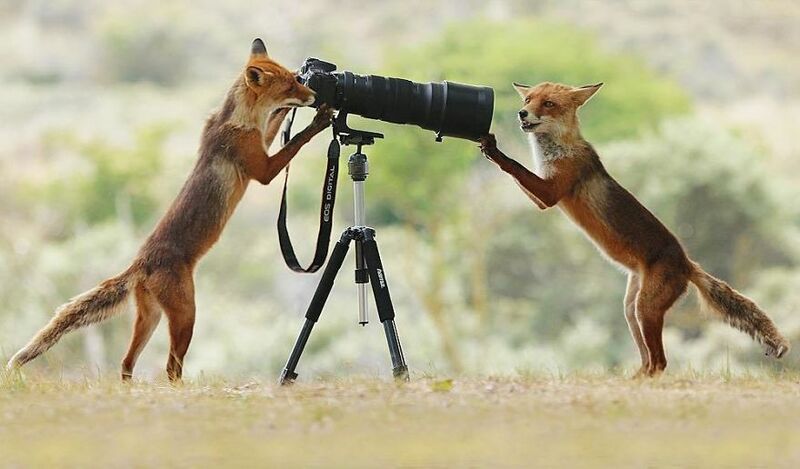 Wildlife photographers always fascinated me for their patience and it seems that Julian wouldn’t mind waiting thousands of hours to get the perfect shot. 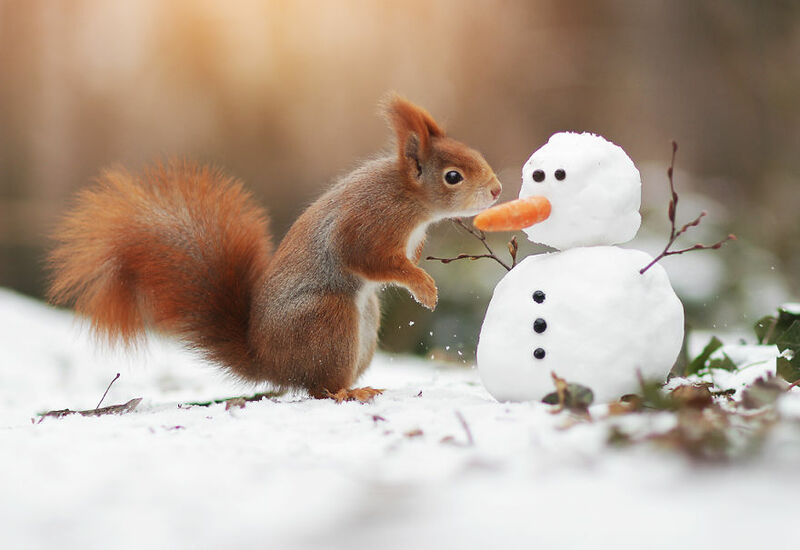 Possibly a reincarnation of Scrat the saber-tooth squirrel from Ice Age in his latest pursuit of the acorn, and by acorn we actually mean this nut. 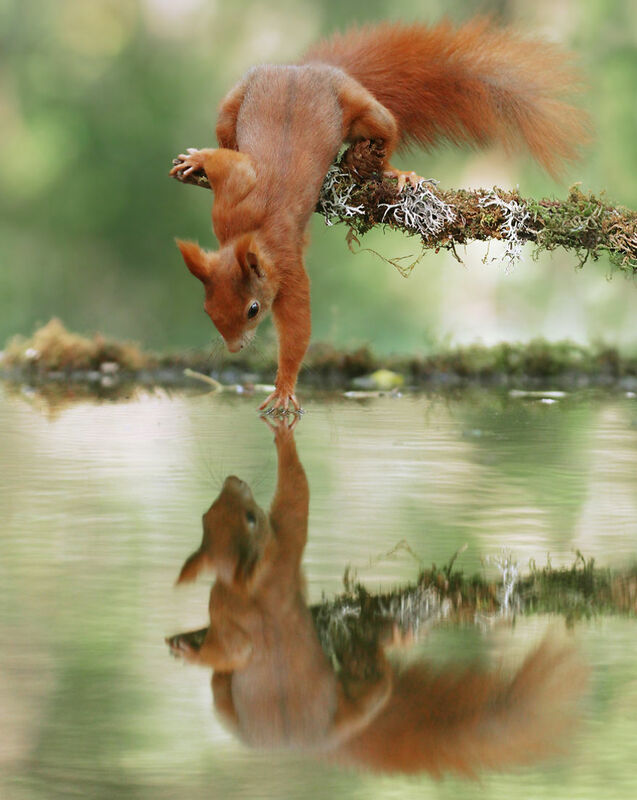 Also – striking a majestic yoga pose while at it. 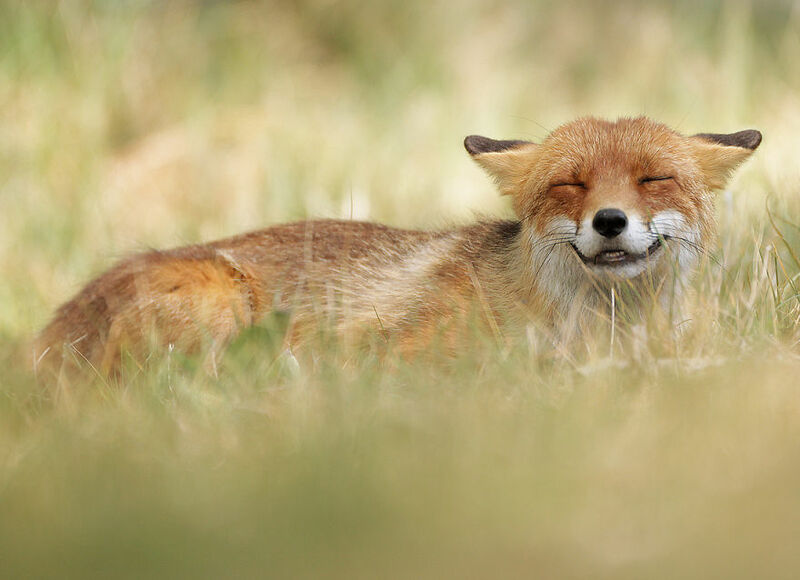 Suddenly, a wild fox appears who seems to be sharing a personal joke with herself. We aren’t entirely sure why the smiley face, but it is very contagious. 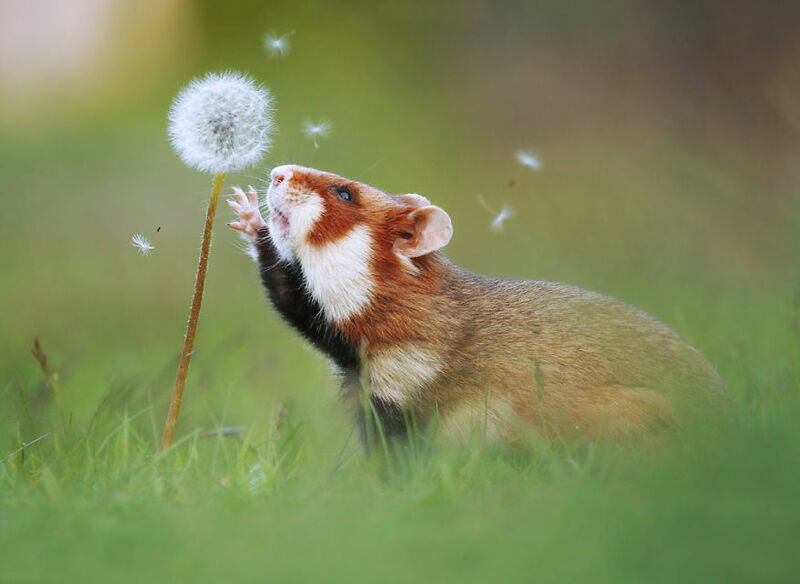 A wish on a dandelion. 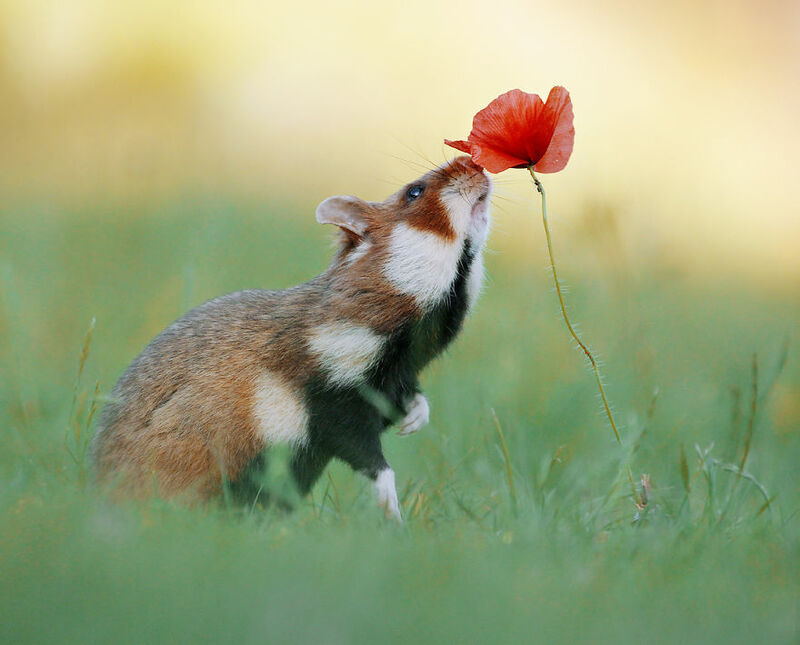 We don’t know what sort of wish this hamster is about to make, but we do hope that even his smallest dreams come true. Breaking news! 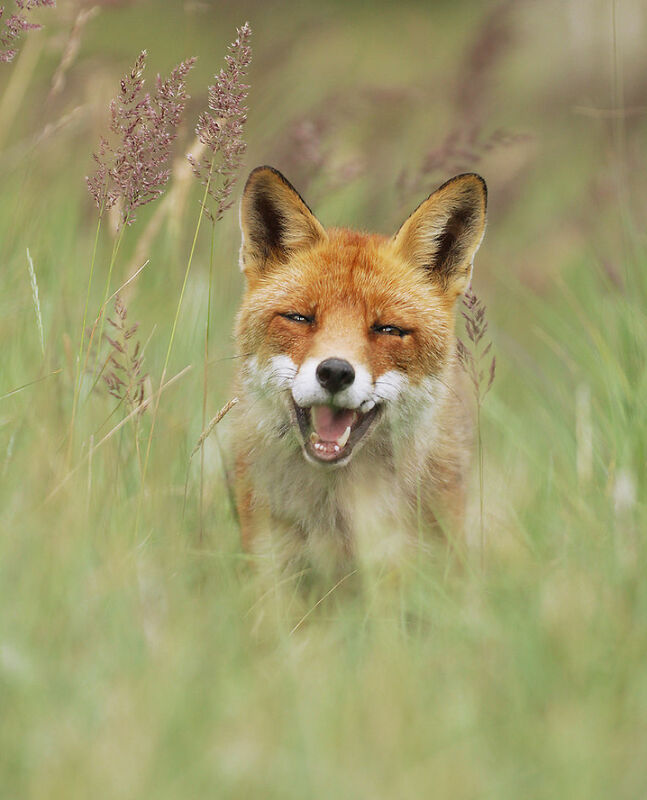 A fox catches another fox on camera, and seems like the latter has plenty to say. We wonder if this encounter was coincidental, or perhaps a secret rendezvous planned all along? This fast and furious predator not only looks like he just escaped prison, he also won the contest of Funny Wildlife Pictures 2015 while doing so. We speculate that it was due to the contents of his cheeks, which remains a mystery up to this day. 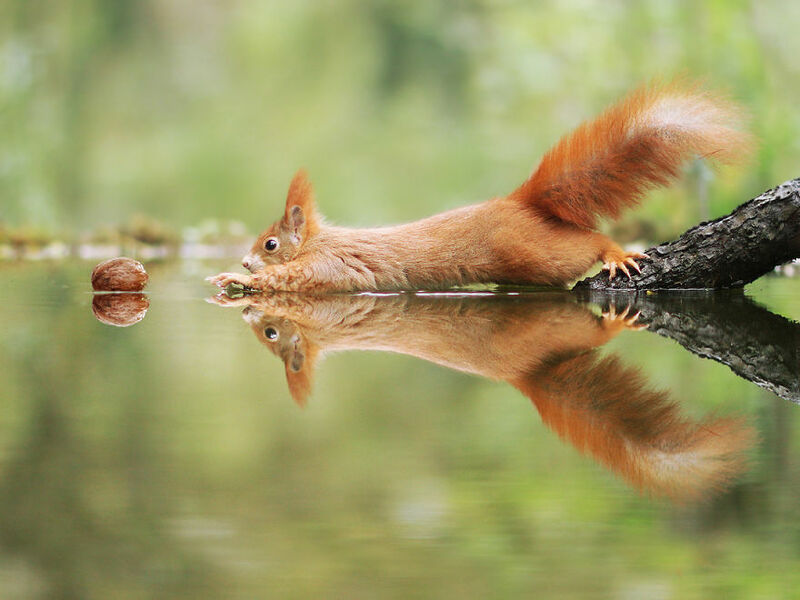 Welcome back to Squirrel Yoga 101, today we have ourselves a treat. 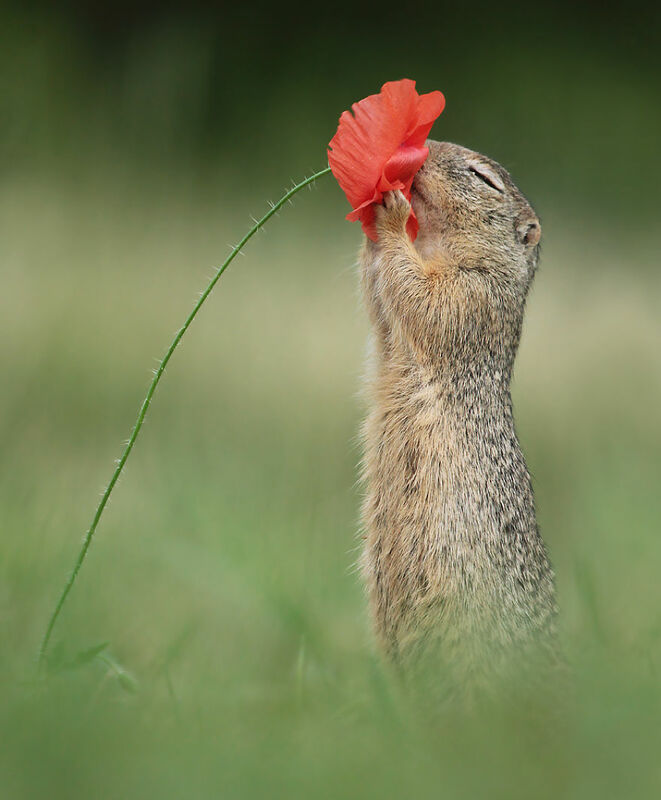 This pose will surely cure all the leftover blues after Valentine’s day, not to mention it’s good for your back! All you need to do is hit a local forest, find a mossy twig and let those bad feelings escape you. 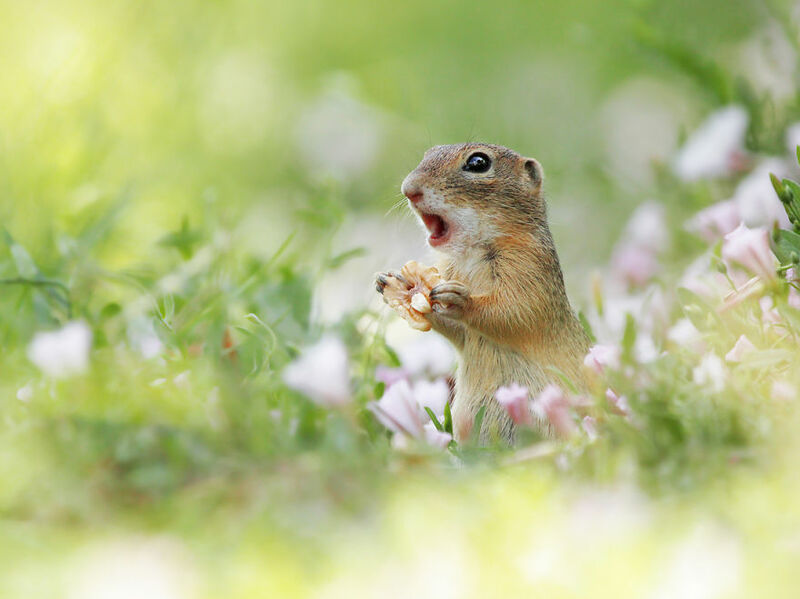 They say walnuts are very good for the brains, and here a little fellow looks like he was just hit by the biggest EUREKA moment in the history of rodents. 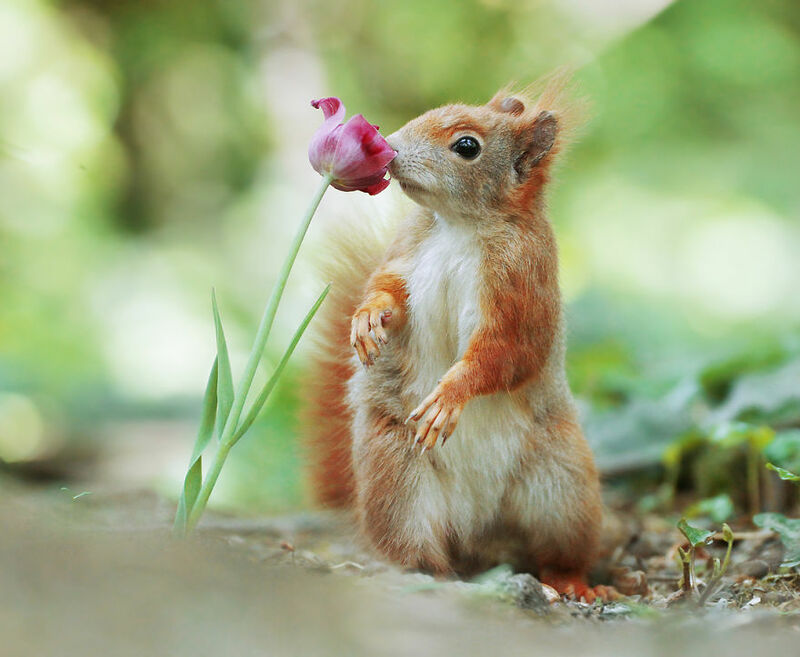 Nothing’s better than a tranquil moment in life when you actually stop and smell flowers. 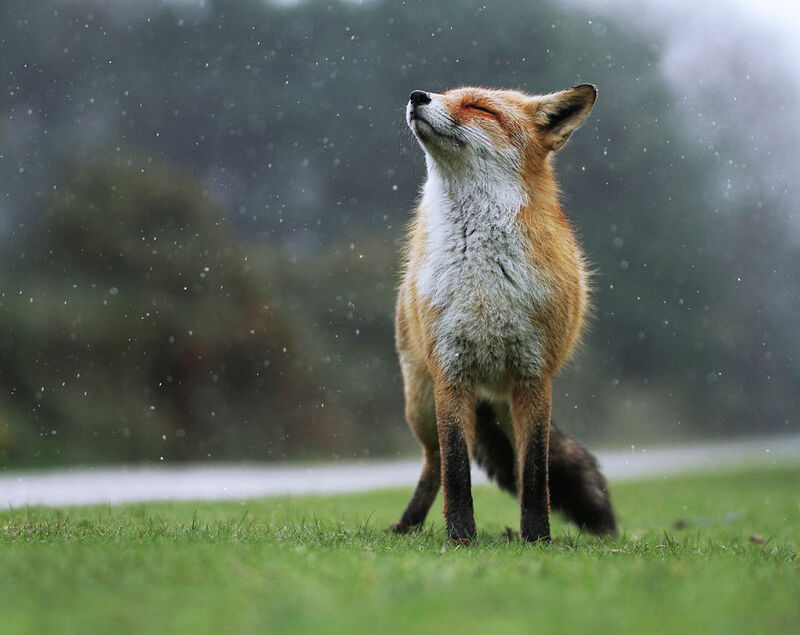 And why not strike a majestic pose while doing so? 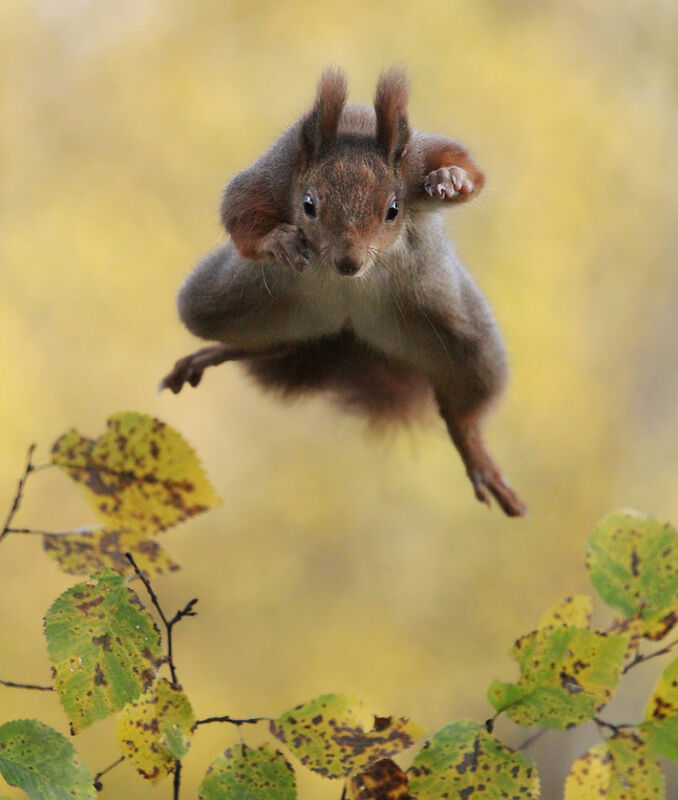 Just a friendly passing-by squirrel from a neighboring forest. 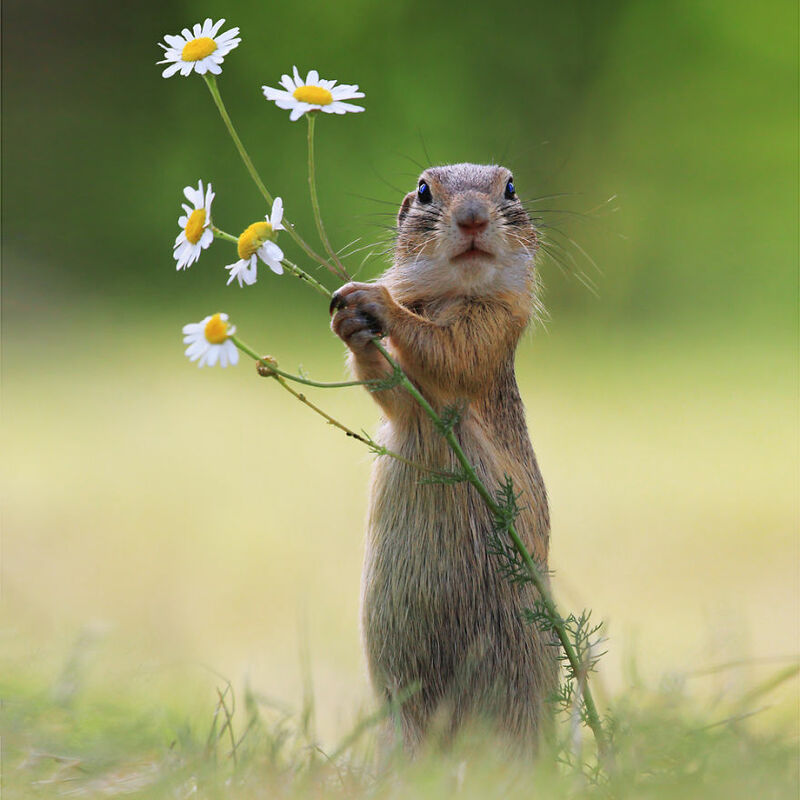 He seems to be caught on a casual stroll collecting flowers worth of a bouquet. 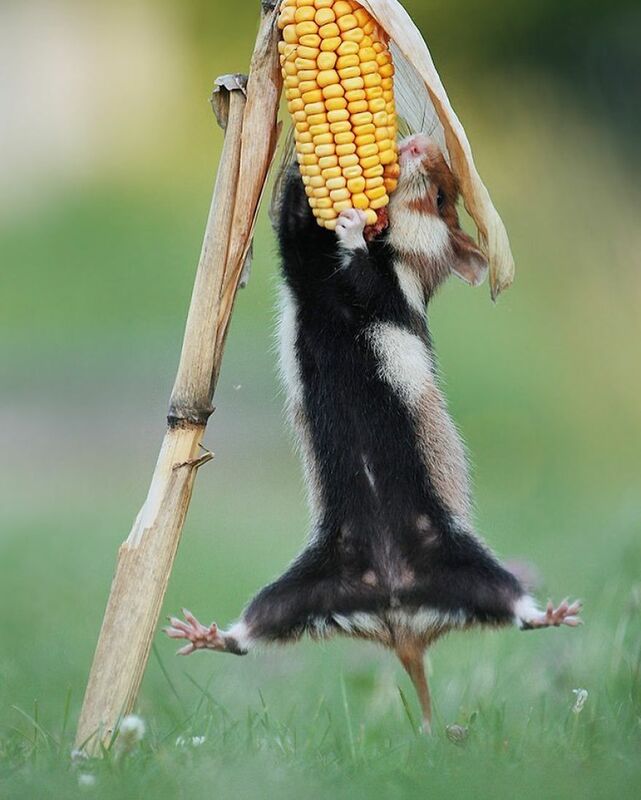 We all know that acrobatics comes with a certain risk. 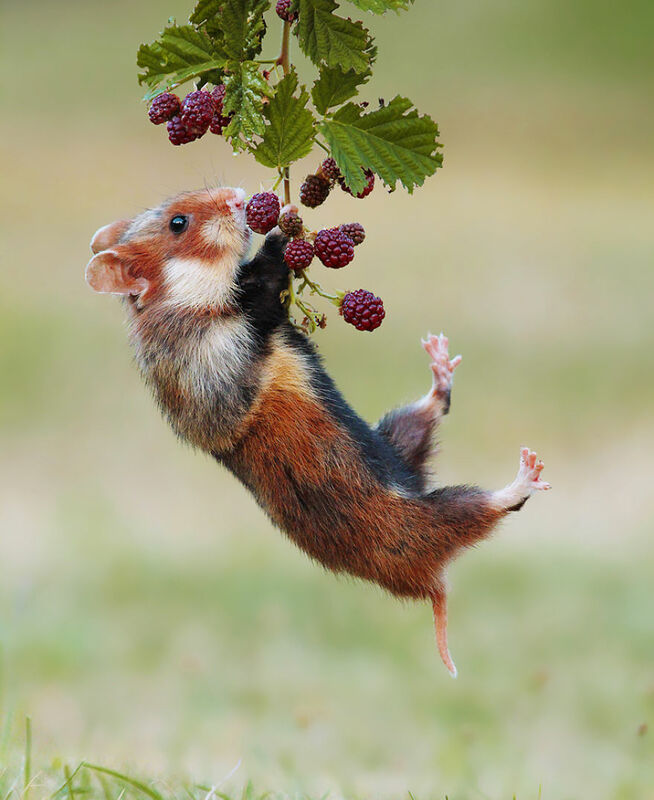 However, we believe that this time the risk is worth the delicious raspberries he’s about to take! 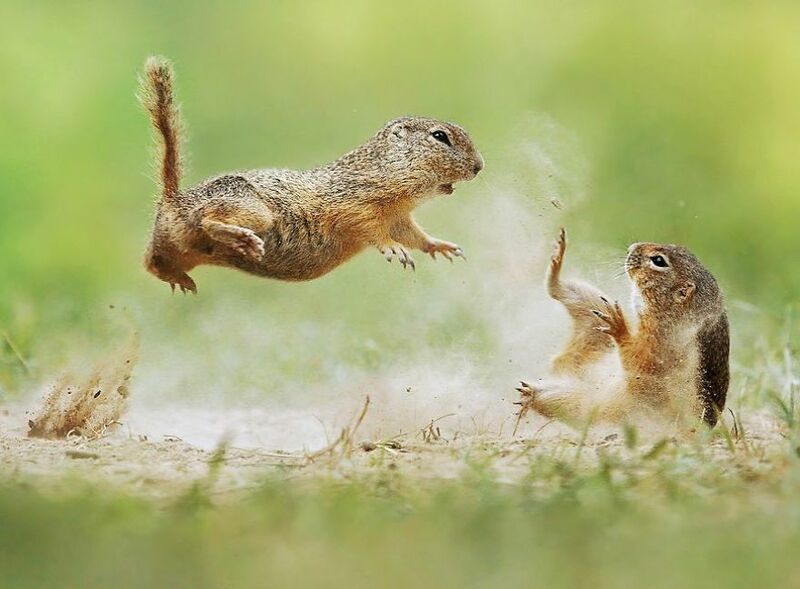 These fellows surely know some cool Kung Fu moves! I wonder what could have caused the fight between those two? 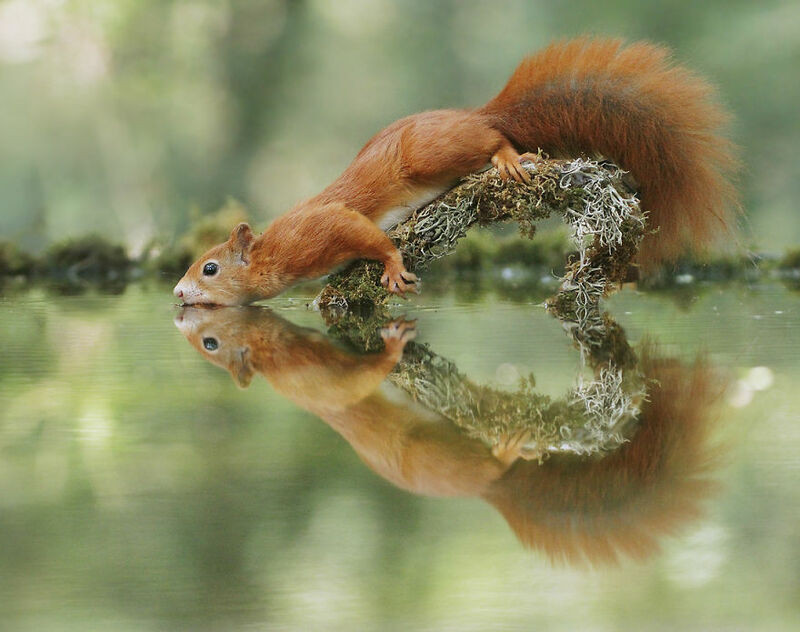 After an intensive session of teaching Squirrel Yoga to the whole forest populace, a proper hydration is a must! Even if it’s just a handful of tiny droplets. 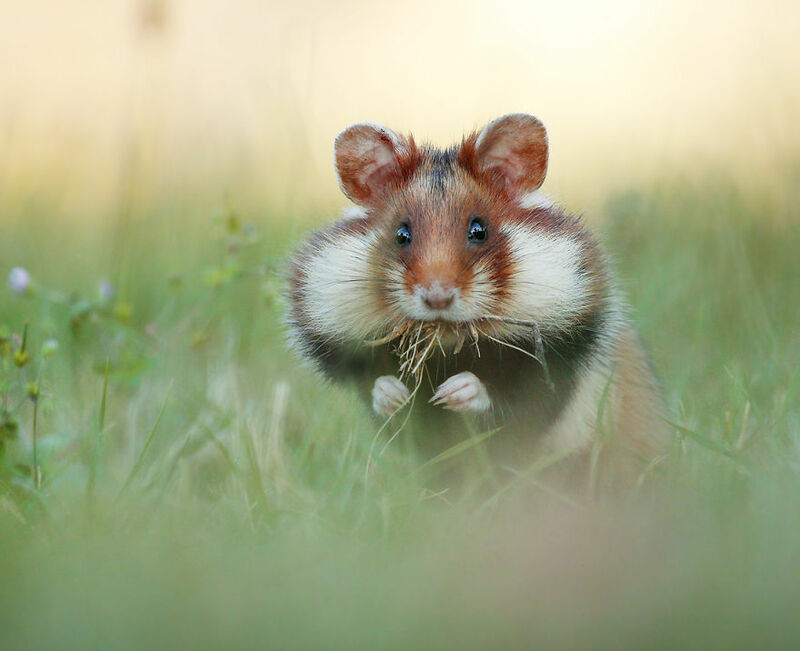 Rumor has it, there’s an entire parallel universe that exists inside this hamster’s cheeks. 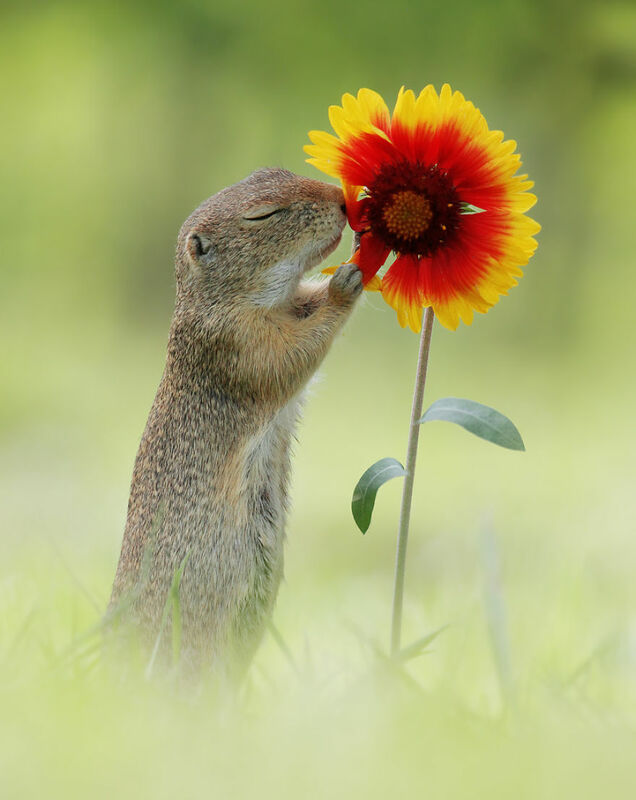 It’s a universe where only acorns, nuts and pieces of dried grass exist. 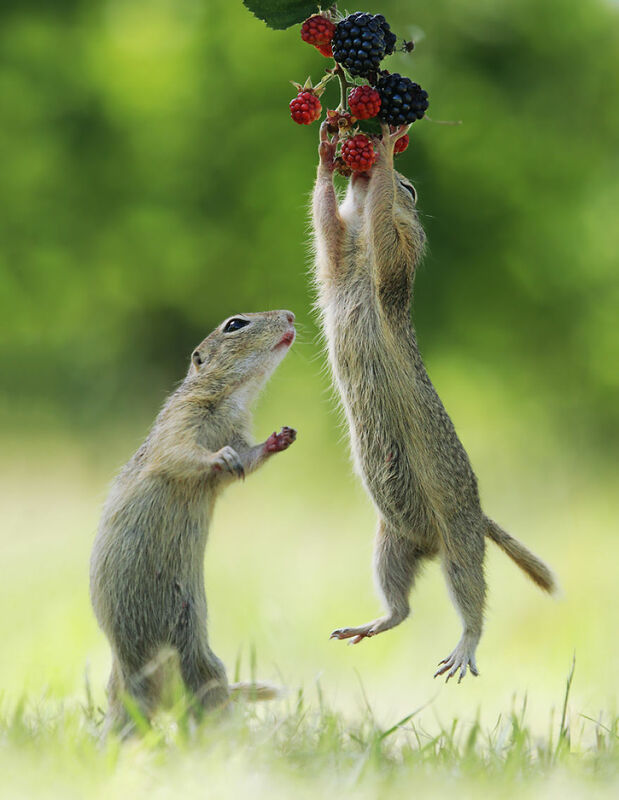 Do you want to make a bet whether he will share his precious treasure with his friend? #22 Is It A Bird? Is It A Plane? 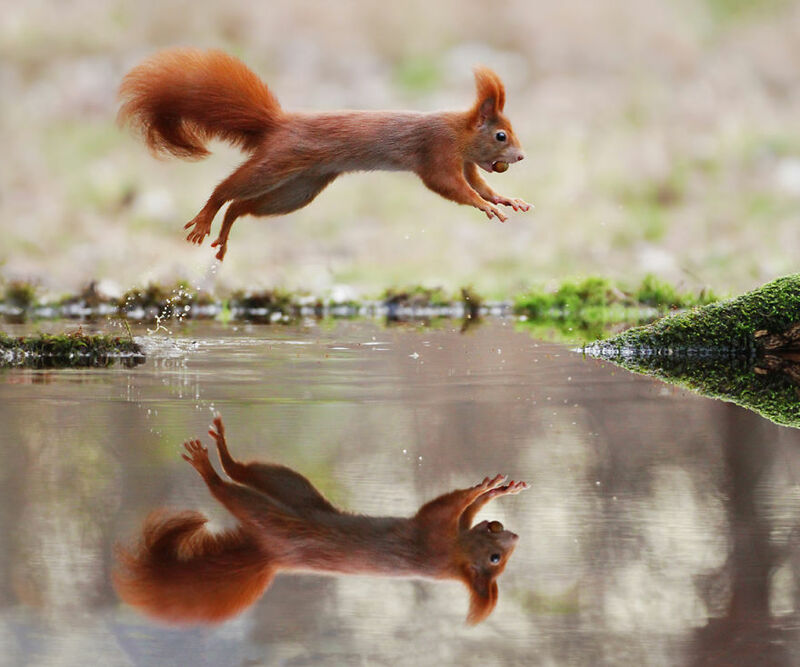 No, It’s A Squirrel!! 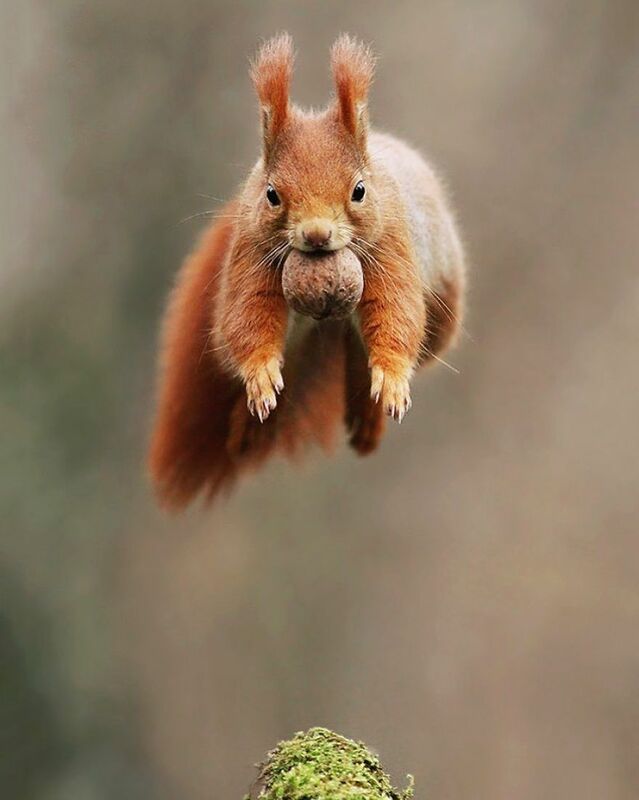 And here comes super-squirrel to once again save the day! 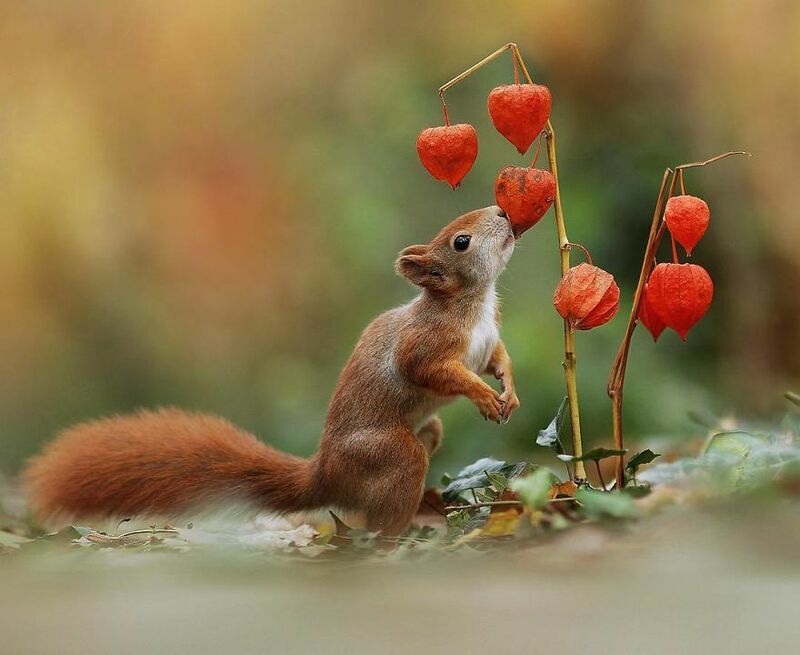 #25 Autumn Has The Most Beautiful Colours… Do You Agree? 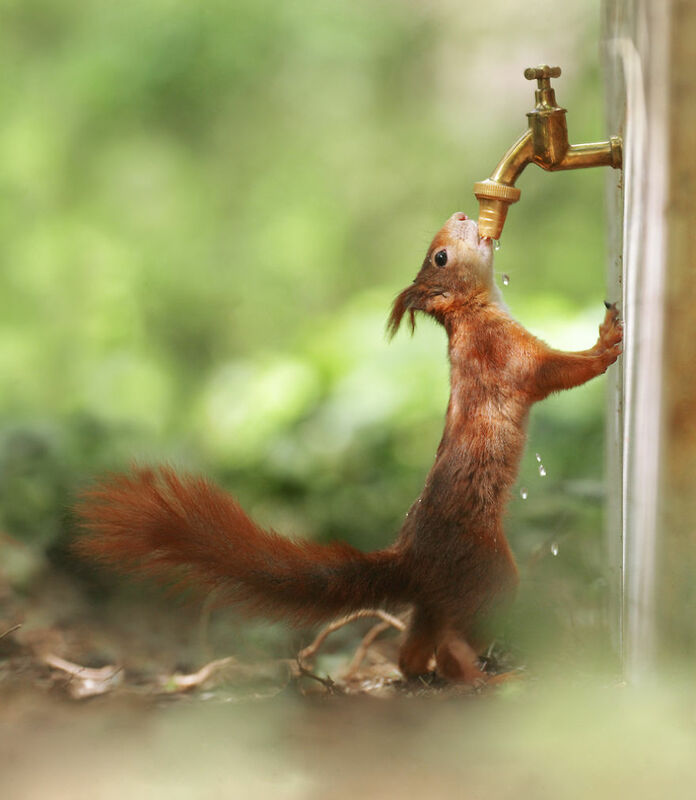 Let’s be real, everyone gets thirsty on a hot summer day and this cute little thing thought of a good way to quench her thirst!